It's a difference case with YSH who needs a breakthrough role , to establish as an actor. YSH has still a long way to go. Ohh so you are a long time reader and created an account only recently. I hope more readers will come out. Yeah I got very disappointed in him and my mood got completely spoiled the day I learned he chose BS Company. It took me a while to move on. @Berou Oh yes, A detective drama, As a police mole! would be fantastic! Fantasy drama.. his Arang and the Magistrate as Jade Emperor quite a Fantasy character! I always love fantasy film! I am a big fans of fantasy drama! GoT, Harry Potter, LoTR.. you name it I am a fan! so if he got a role in a Fantasy drama it will be dreams! Yes, I has read through most of the posts! I am really enjoy reading everys comments about YSH and any news about him either new or old! any news is good news! umm.. he dont really have any bad news about him! all these years he been behave himself so perfectly! ( must be tired if he not natualy good person! so I believe he is natualy a nice person ), I am too lazy to sign up and did not come to think I would like to post something on!! but then.. I try! and seems to be a good idea!! I can start saying things inside of me! how I think of YSH and how I want to express how much I admire him as an actor and as a person! Yes, I have been thinking of his new agent BS company! the company still haven't have his picture on their website yet!! not impress!! and quite disappointed really.. but slowly!! I think YSH knew what he want!! he want to act! he want to have balance between works and private life! he act in a drama/film that he like he enjoy is the main motivation! If its became a hit is a bonus! not!! he will be disapointed but he will move on! Like IANAR.. I think he learn to move on. I learn that he is a Ninja!! haha.. when he decided to create an Instagram account himself!! I think he has change a bit! I think he still have a heart of a child!! I hope he will slowly grown into a man! he moan about no one see him in his Daum cafe.. he does care!! he might be still unhappy... he might be purposely dont want to update anythings! he is a Child! @Berou Why I think you understand him!! maybe more than 10 percent!! every comments you said about him is quite dependable! acceptable! you been study about him! and you are a fan of his own personality rather than the characters of him! I really like that! I am a fan of the real YSH too! I hope I will always be!! We cant said that he is not interisting to become superstar, even a senior actor still want to become superstar. Of course become superstar will give you many advantage, like you will get many drama/movie offers and many popular writers will want to work with you. YSH just not lucky with his project, his drama always get a low rating, I think we still need to wait for him after he get a right one. 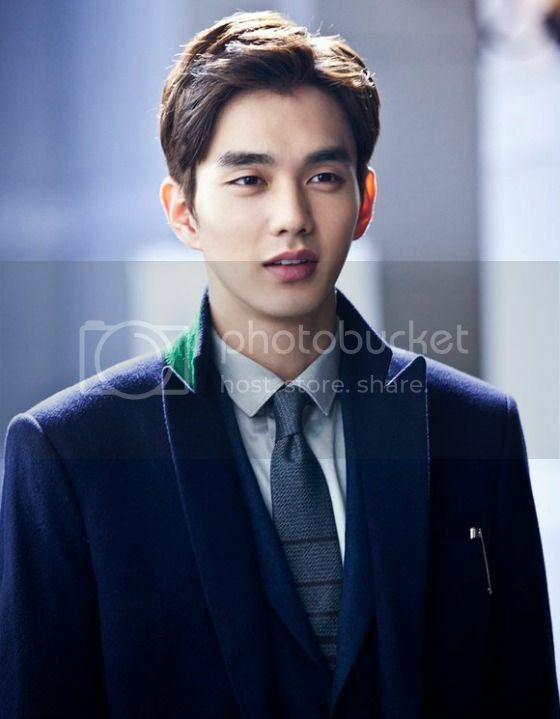 @rahma92 Yoo Seung Ho is a bit different! he is not that type of actor enjoy being special! treat him like a super star! he is very low profile, I think he is much enjoying to be an actor, an honourable actor rather than a movie star! but he is not alone! I can name a few others quite like him! Actress Han Hyo-joo is similar with YSH! very low profile! I am agree with you, the more popular the actor is the more choice he going to get! more offer he can chose! I think YSH is very respectable actor in Korea! he is very positive in almost every way! but yes, his latest project wasn't that great! carry on like that for a few more projects he may lost his ability of influerence! so he has to be really careful with his choice for next project! think about it!! I am quite worry.. he sometime make.. Ahh!! hopefully not! let see if BS Company will bring him to another level! and we all wish him LUCK this time! Seems YSH in Remember is a favourite.. He was really good and he portrayed the character flawlessly. It just that the villian was truly epic. Kudos to Nam Goong Min but honestly, he may have taken the shine off YSH a bit, but he didn't take away YSH's own great acting. The thing is, I don't mind YSH being quiet, shy and humble. Its totally my kind of guy. But it is his inferiority complex, that bugs me. He has the total package; totally handsome, immense talent and great personality, yet he seems to be someone that beat himself up when things doesn't turn out as expected. I want him to get a role that propel him to stardom, not because I think popularity is the only way to go, but more to boost his confidence and for more people to appreciate his talent. @WoozyPrincessYes, seems to be Remember at the moment is YSH best drama! I am totally agreed with it! He is absolutely handsome in Remember! for me! he is the most good looking Korean actor! beautiful outside and beautiful inside! just lack of confidence! just wonder how and why! YSH just look into the mirror!! millions of men want to look like you!! and believe in yourself! your acting skill is amazing! the best in your generation! A breakthrough role and get into the mega stardom is all we wish for! I totally cannot understand why he is still not yet a major star in par with Lee Minho or Lee Jongsuk! in my eyes YSH is the next Won Bin! some times.. when I look into his picture! his eyes make me feel sad!! his eyes is extremely beautiful! but has a sad story inside! maybe.. that's why he always chosen to be a tragic character! @See Wongthese are the red lips you dont like? Although I didnt like both IANAR and MSH, I did finish MSH (tho i skimmed through the last episode) whereas, I gave up on IANAR towards the end. Let me share my reason..
NO !.. The Presscon was the start of it all..
What was he wearing?? I know its Gucci.. but its like taste has gone to the dogs..
Heheheh.. just joking.. I still didnt like what he was wearing but that outfit didnt turn me off the show. I was very willing to give the show a shot. Ok.. that i gave you this unsolicited comment.. to keep this thread lively. Haaha this is the Chubby face I dont like!! Sorry for the link text!! try to delete it but fail!! Hahaha.. the outfit is a bit outrageous!! talk about presscon!! his MSH presscon is more disappointed! he look almost unfocus and tired!! look like he dosn't want to belong there!!! that's make me wonder he dislike the whole project!! I finish watching the whole series of MSH.. umm yes!! I skimmed part of it!! specially when the outrageous red lip in on!! But I accept IANAR! yes, I did! because I watch it with lighten heart! Its a comedy! I can accept some silly mistake! some bad joke! some plot hole! I dont take the writing or story very seriously!! I dont like the idea of Robot in the first place because it's always unbelieveable!so when I watch it!! I kind of take it easy!! in other hand, I cannot accept the Ruler!! it's suppose to be a serious historic drama! the story have to be solid! believable and reasonable probable! The Crown prince love his country his people! but then he sacrificed himself for a woman which sacrifice him for her personal reason to clear her father name!! not just once.. many time! make me wonder the prince love her more than anything! his country! his people and himself!! so... i did skipped umm err more than 10 episodes then.. re watch it again!!! The drama that I most enjoyable watching actually is Imaginary Cat! I watch it very lightly!! no expectations! just a liitle wonder how possible he fell in love with the female lead!! but then Bukgil is a big fat cat! that explaining! haha I watch Imaginary Cat just for one purpose! watching YSH only! IMY made me a fan of him and Harry is one of his best characters !! Remember is a legal drama, usually legal dramas do well with ratings but aren't popular. It is very difficult for a legal drama to become a hit drama. Besides as you said, Nam Goong Min stole the thunder from YSH. These are the reasons why he didn't get any recognitiion with remember. Ahh I am glad wer're on the same board !! I also didn't like the chemistry in remember simply because there was no chemistry ! I still remember saying in Remember thread to the other folks that if the writer was unwiliing to focus on the romance and intended to write a half-cooked romance, it would have been better that the leads ended up as comrades. I got many glares haha and made some fans angry. @Berou Talk about Harry and Seo Jin-woo, both lost thier memory in the end! both very sad!! Personally I prefer Seo Jin-woo! I cry more for Jin-woo! maybe Jin-woo fight for his father! fight for his faith! and his life is so misery from begin to end! Harry did everything for the woman do not deserve him! I am still pity and sorry for him and I really dislike both the main actor/actress!! Specially Zoe! she is cold blooded! she not even take a look at him when he begging her for one final look!! Real cruel!! and she can let go of a person just like that who take care of her for the last 14 years! But what I like to talk about is the memory lost! I think Harry did not completely lost his memory! he pretending! but he lost his life!! there nothing left for him!! for this, he is so much more tragic than Jin-woo! Jin-woo in other hand has lost all his memory! It's sad but a new begining for him!! all his memory was painful! tragic! misery!! but some are beautiful! the friendship with Park Dong-ho!! his love with Lee In-ah ( they're too busy!! not even have a proper date and that very sad forgotten romantic dinner ) is beautiful! but he lost it all!! I am kind of relief he lost all his pain memory! but it must be difficult for In-ah and Dong-ho! looking at him and he totally forgotten about them! In-ah Love to him has to be really strong to continue following him! will he start falling in love with her! will he remember she the next day? In addition! YSH look and act so perfectly in both drama! ( Dont know why he think he didn't act well in Remember! but that's not surprise.. this is YSH ) in IMY he look his best in his youth! an angelic teenager! his skin even prettier than YEH! the director must have notice his charm and give him a lots of face close up!! so perfect! In Remember! for which he look his best as a man! young handsome man! he look like a teenager too when he still is a student! but very different from IMY! both beautiful! but yet again! I choose Remember! YSH is really humble! I did watch a lots of his videos with his fans! his did gave a lot to his fans! not just shake hand! a big big hug too! I bet the fans he hug will never forget it! they might think!! Oh! YSH! he is so thin! haha he even play piano and sing for his Japan fans meeting! he is shy but still pratice and offering his fans because he appreciated his fans! Love him! Talk about when he is a child!! That film ( don't want to mention the name )!! I think it will effecting him when he watch it later after he is old enough! I think he will hated it! how can the director make this humiliation to a 11 years old kid! and it's not funny! and expose far too much!! I personaly think he's may has been force to do that!!! 5 6 or 7 maybe ok! but 11 will already start feeling shy and embarrassing! his shyness and wanted to stay away from people maybe start from here! Actually﻿ there's many detective drama lately thats why It got boring, and of﻿ course they need big budget for fantasy drama, fantasy drama without﻿ big budget would﻿ be disaster (But I dont mind if he take this genre as long with good ﻿quality﻿﻿). Oh﻿ yes, A detective drama, As a police mole! would be fantastic! ﻿Fantasy drama.. his Arang and the Magistrate as Jade Emperor quite a Fantasy character! I always love fantasy film! I am a big fans of fantasy drama! GoT, Harry Potter, LoTR.. you name it I am a fan! so if he got a role in a Fantasy drama it will be dreams! Totally agree with you.. Your taste is daebak! Sorry can't reply over the weekend. Don't access my laptop on the weekend and I cant access forum on the new soompi app. I start it? I thought you want to make the thread lively.. hahahahah.. ok ok.. lets get it going. I didn't catch the MSH presscon... but talking of presscon.. i love him during Ruler's presscon. He was so lively and happy and jovial.. so different from his previous press cons or even those after that. Ruler does has its own plot holes.. I think the storyline got meandered halfway through.. like they cant decide where they are going, which plot to focus on, which OTP romance to root for, who is the leading actress. It was a mess. But for Ruler, I empathse with KSH more than him.. because I think she got the short end of the stick in the drama. Her character was poorly developed and then lost in translation. But I do find it more watchable than IANAR and MSH. I love Imaginary Cat. I actually watched it before I was so into him.. I thought he was so adorable there. I love the cat though. I'm a cat lover and that Bok GIl was beyond adorable. Love its snappy personality. YSH in NH Card looks like the good looking boy next door. He is too pretty in Magician and Remember.. but I prefer the pretty guy in Remember than the one in Magician. In magician, its kind of too feminine to me. Hahahah.. the thing I love aout Kdrama, how a single touch, a glance at a bare body, a back hug can get us all swoony.. whereas i American drama.. we wouldn't bat an eyelid. @WoozyPrincess No problem! reply whenever you are able to! Its not rush as I am wondering lost in a garden waiting for YSH to update his Ins! still trying to figure out what take him so long!! what is he busy for!!?? or is he still praticing how to take a good selfie! hahaha Nah!! take his time!! maybe he is talking seriously to his new manager what to do for his next step!! maybe he will finally update his Ins when he is in Japan. umm in MAY!! so.. we better find something interesting to do! right? ok!! what should we do!! best thing to do is talk about YSH! hahhaaha I know!! ok.. ok! let's go to the subject! 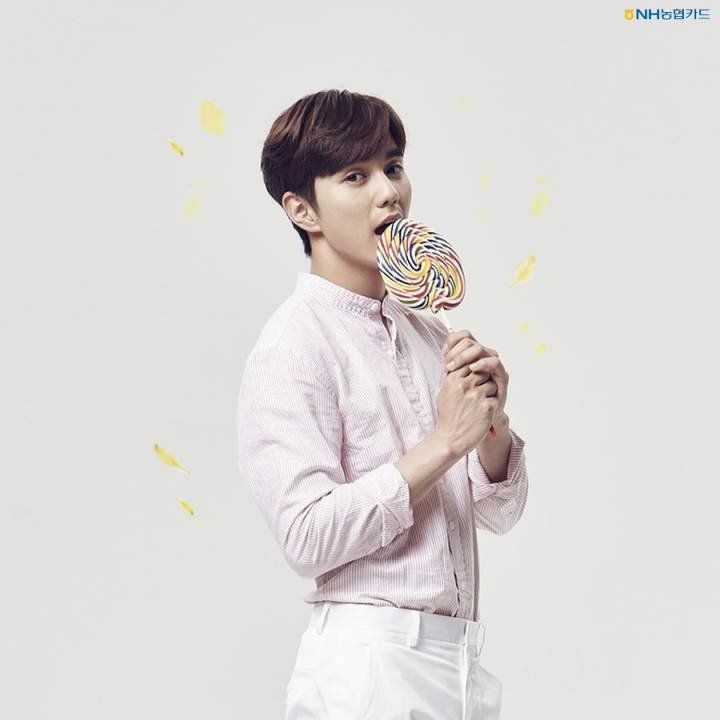 I am quite disappointed to find out NH card did not renew the new contract with YSH! 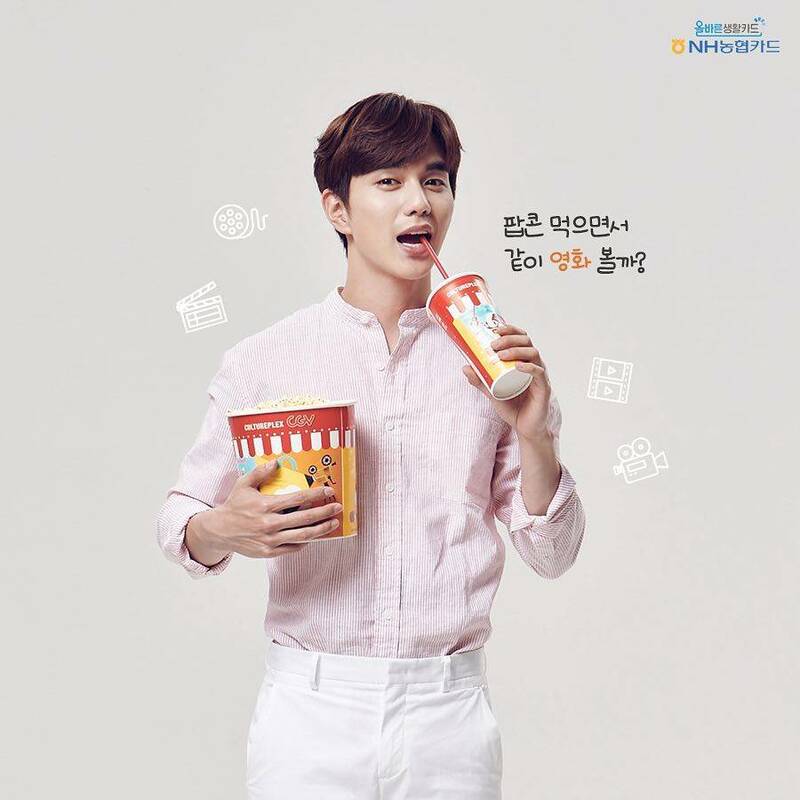 When was his last CF?? I actually don't pay a lot of attention on his Kisses!! anyway they only kiss on the lips! he usually kiss the actress upper lip!! yes!! I really did not pay a lot of attention!! compare to the western drama!! the actors probably having a french! Yeah!! I actually like YSH the best in his Imaginary cat! the geeky boy next door! I think a geeky good looking boy is so much closer to his real life look! If I am lucky to go into his house!! I bet he look very much like Hyun Jong-hyun!! hugging his cats in his arm!! Umm.. yes! I think you make sense! I can tell you prefer manly look rather than pretty boy!! Yes, so am I, I never like Park Yoo-chun! my conclusion is Zoe is blind! or maybe she doesn't like pretty boy too! True! I prefer Seondal than Magician, both for the look and the movie itself! I prefer him in Remember than IANAR and MSH ( red lip )! hopefully his next project don't focus on his look! ummm.. yes he is very good looking! doesn't need to do it on purpose! almost all of his latest films, the director want to tell us how good looking he is! oh.. no need to.. we all know! OK! I start it! I really want this thread to be lively again!!! Hey! me too... When I watch Imaginary cat I don't really know him and after finish the series! I have forgotten him!! I just remember he is so cute!! look perfect with the cat! then in Ruler! I go to search him on google! oh! is him.. the one in IC!